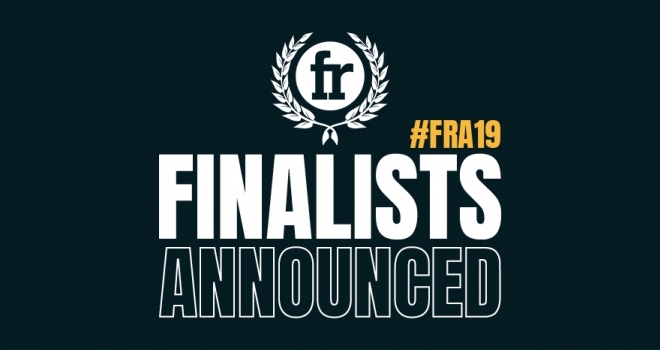 "With 10,000 votes being cast over the voting period, competition has been fierce"
Financial Reporter is delighted to announce the finalists of its 2019 Awards, which saw a record number of votes cast by the intermediary community to recognise the industry’s best and brightest contributors. Celebrating its tenth year, the Financial Reporter Awards has once again given intermediaries the chance to vote for whoever they believe deserves to win – and, with 10,000 votes being cast over the voting period, competition has been fierce for spots in the shortlist. Winners will be announced at our Financial Reporter Awards Winners’ Party on the 14th of May, at the historic and spectacular Museum of Science and Industry in Manchester. To view all the finalists for the 2019 Financial Reporter Awards, click here. “Our expectations for the Financial Reporter Awards are surpassed every year – and to have reached over 10,000 votes this year is not only a huge increase on last year, it’s also a huge achievement for each of our finalists. To stand out head and shoulders above the competition when there were so many votes is a testament to the hard work, innovation, and exceptional service provided by each of our finalists, and they should all be very proud!